The Balearic Islands are located in a privileged spot in the Mediterranean, off the eastern coast of the Iberian Peninsula. 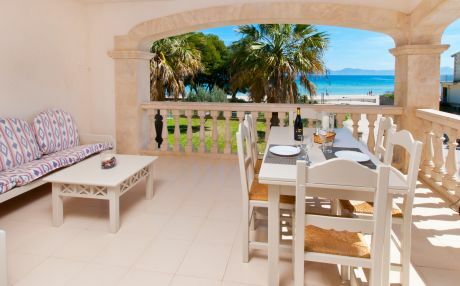 Its five islands: Mallorca, Menorca, Ibiza, Formentera and Cabrera, receives every year millions of tourists who are attracted by the wild beauty of its landscapes and its villages full of charm. The Balearic Islands are one of the main tourist destinations in Spain for those who love the beaches, but also a unique world in themselves. In the Balearic Islands it is possible to find all the tranquility of the world, discover unique landscapes or live the craziest of nights. There are so many things to see and visit, that it is very difficult to choose just a few. On the island of Mallorca, in addition to the beautiful Sierra de Tramontana, the Drac caves with its subterranean lake or villages such as Deià, Pollença and Sóller have a special attraction. 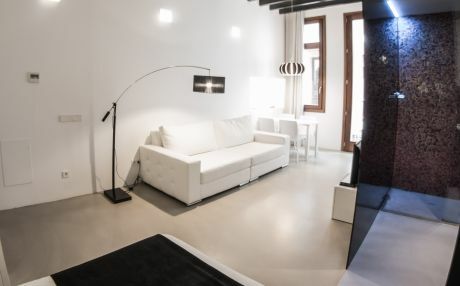 As for the capital, Palma, it has a beautiful historical center in which are the Royal Palace of La Almudaina and the cathedral in Gothic style. Ibiza, also known as the white island, is famous for its nightlife, but beyond its nightclubs and its hippie past, it is a natural paradise with stunning beaches and historic places that astound visitors, such as the Phoenician Sa Caleta or the necropolis of Puig des Molins. Menorca, the other great island of the archipelago, is an authentic Eden in the Mediterranean, with fine sandy beaches ideal for diving and other water sports. In it you can observe birds in the Natural Park of s'Albufera d'Es Grau, visit the prehistoric remains of the Naveta des Tudons or rediscover old traditions in small fishing villages. The gastronomy of the Balearic Islands is in itself a reason to choose them as a holiday destination. With a great tradition, that combines influences from all the cultures that have passed through their lands, the cuisine of the Balearic Islands knows how to get the most flavor of local products. Among its most typical products are Mahon cheese, almonds, sobrasada, Menorcan gin, honey or herbal liqueur. In the Balearic Islands there are plenty of bars and restaurants to savor the local cuisine, many of them awarded with Michelin stars. Some of the dishes that you should ask if you want to discover the most traditional flavors are the lobster stew, the fish tumbet or the Mallorcan frit. Of course, do not stop trying the palate with an ensaimada. 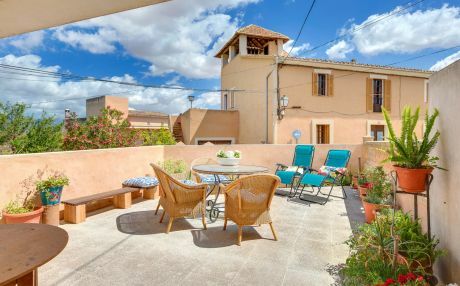 In the Balearic Islands you will find a lot of beaches and small secret coves hidden between pine forests and cliffs, sailor villages with typical white houses, archaeological sites and cities like Palma de Mallorca, brimming with art and history. Several of its areas, such as the Sierra de Tramontana, have been declared a World Heritage Site by UNESCO thanks to its biodiversity and its great ecological and cultural wealth. 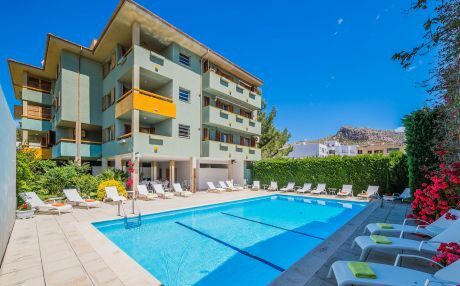 One of the great attractions for family trips to the Balearic Islands is the tranquility that is breathed in the atmosphere that allows to enjoy the generous sun and the fantastic coast. In any of the islands of the archipelago there are amazing coves surrounded by nature where you can go kayaking, windsurfing, snorkelling or learning to sail. There are also theme parks like Marineland, featuring dolphin shows, which is considered one of the best in all of Spain or the Jungle Parc Junior de Calvià where children can take an acrobatic tour through the treetops. On hotter summer days you can have fun in one of its several water parks. Another family activity we recommend in the Balearic Islands is the excursion on the Sóller Railway, a small historical train capable of getting you to another era. 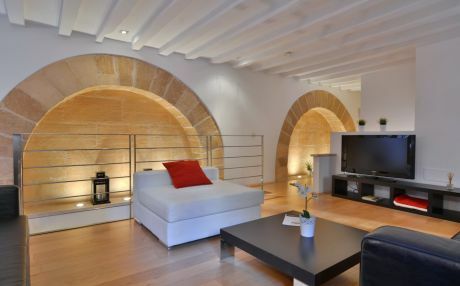 If we want to give a touch of history to our family holidays, we can visit some archaeological site, or castles like Bellver in Mallorca or the Fortress of La Mola in Menorca. And why not go to a cheese factory in Mahon and find out how this typical product is made. 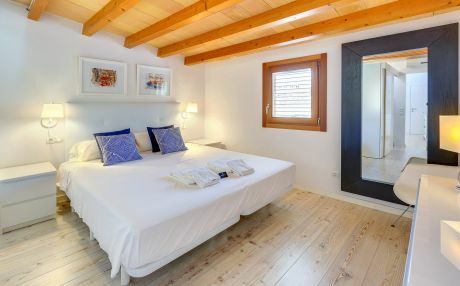 There are many options to enjoy the Balearic Islands with children! The Balearic Islands are very well connected, both by air and by sea. You can travel by plane to any of the airports of the three main islands: Mallorca, Menorca and Ibiza. Most flights arrive from Spain. But there are also a good number coming from the rest of Europe and the world. If you are thinking of traveling by ferry to take your own car, the main departure points are Barcelona and Valencia and the main companies that operate them, Balearia and Transmediterránea. To move from one island to another, the most comfortable options are the boats. 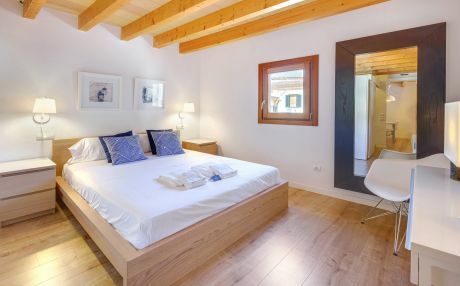 The Balearic Islands are a destination that offers a wide variety of accommodation. 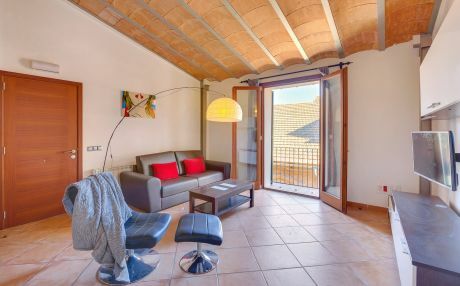 One of the most valued options by tourists is the rental of holiday apartments in the Balearic Islands, as they allow them to enjoy more freedom in schedules and to have more space than other types of accommodation. 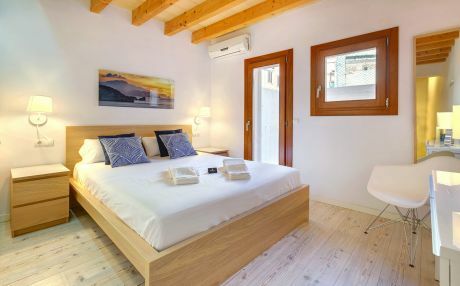 Tourist apartments are generally a cheaper option than hotels and are very convenient for families or groups of friends who want to stay together during their stay in these islands full of charm.